The credit crunch and global economic crisis push many people to live cheap and below their mean. Although sometimes doing so is not a choice, in most cases, people do actually have choice. Why people tend to life cheap? One of the most common routes people take to tackle any negative financial issues is live cheap. This is a simple human behaviour. People tend to act cautiously, often in paranoid-like ways, whenever they hear negative issues, especially those that involve money. As you might already know, the fall or stock markets worldwide is mainly caused by negative sentiment and outlook on the economy. This is a strong indicator that people these days are more sensitive to any movements in the economy, in a negative way – they are tend to be overreacted to negative news, and overly cautious to positive news. Living cheap might hurt your ego and drown you in negativity even more. People do need a form of achievement in their life, and these days, maintaining their lifestyle is arguably the best achievement of all. Living cheap might also worsen your state of personal finance. For example, if you ‘skimp’ on your daily meal, you might get sick – you and I know that getting sick these days is the least thing you want to have. Ultimately, you have to stay healthy and pumped up to face the current money problems and issues. There are actually ways to live smart, not cheap today. Retails hit hard in recession today. The logical action? They do prolong promotional campaigns and release coupon codes to keep consumers ‘near’. You can easily access money-saving codes from many sites on the Net, that allows you to shop online and off line for less. 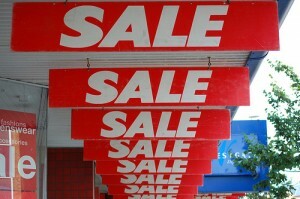 With the high season of Christmas nearing, you can expect more promo and discounts from retailers. Again, you can access Christmas Sale news from the Net to learn what kind of perks you can have from your favourite retailers. With the rise of gas prices, traveling costs you considerable amount of money. You can invest in a scooter that consumes extremely less gallon per mile than any other motorised vehicles. If you also want to better your health, you should consider bicycle. Related to smart shopping, not only promo codes, many retailers online can have your purchased items and goods to be delivered to the comfort of your home. This service will dramatically cut your traveling cost. Your health is your money. Living cheap and in constant insecurity will eventually bring your health and morale down. They will definitely affect your personal finance, either now or later. So, take any benefits of today’s situation to maintain your physical and emotional welfare. Take a psychology test on your relationship with money! What in our psychological makeup makes us good at investing or earning money? Or losing and spending money? Do you or I have the mental tools to be a good investor or trader? If you are reading this site you probably want to act smarter with your money and investments and I have discovered some tools that I think can help us learn more about our psychological makeup in relation to money and hopefully choose financial options that fit our personal profiles. I have discovered a host of psychological tests relating to money and investing at www.marketpsych.com. The site is managed by Richard L. Peterson, MD. They are experts on the psychology of markets, investors and traders and provide speeches and workshops for many of the leading money managers and brokerage firms. On their website they offer free psychological tests on a variety of financial subjects. I have discussed with Dr. Peterson why they give away these valuable tools for free, and he told me that the tests allow them to collect data to further their studies in market psychology. At one time, they charged for the tests but were not getting enough test takers to build a good data base. I find the tests to be of excellent value and have learned a lot from the couple I have taken. I would like to start some discussion here on personal results from some of the tests offered by Market Psych. Every two weeks or so, I will select one of the tests, provide the link, take the test and share my results here. I would like you, our avid readers, to take the same test and provide some comments on your results. For our first test let us take the Success Psychology Test. Registration is required to get your results which will arrive almost instantly by email or you can read them online. OK, here I go testing……….. Finished. Results: I score an A- overall with A- being my score in the categories of Abundance, Drive, Efficiency and Optimism. I scored a B+ on Discipline. I find my results interesting in that I would rate my success to date at barely average. However, I recently have started a couple of new ventures that I am very optimistic about, so that may be reflected in my relatively high grade. Now you take the test and let us know how you did or what you think. As I said earlier, I will put up another test for results and feedback in a few weeks, so try to hold off doing more of the tests. They are fun and interesting, just ask my wife who really was interested in her results and quickly took several of the tests.